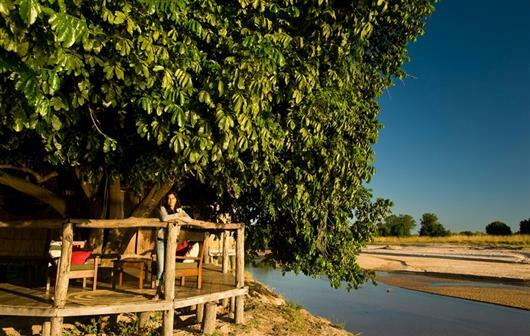 Nsolo Bush Camp is situated on a bend in the Luwi sand river that runs through the heart of South Luangwa National Park, just three hours' walk from Luwi Bushcamp. 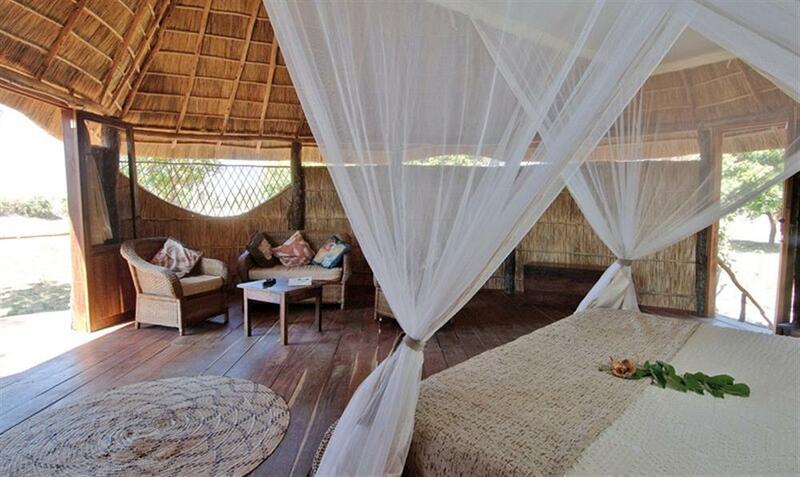 Accommodation consists of four individually designed chalets each on raised wooden decks with high thatched roofs and private verandahs. The rooms are very spacious with stylish furnishings. As with most Norman Carr bush camps the bathrooms have no roofs and are set under the shade of the trees above. 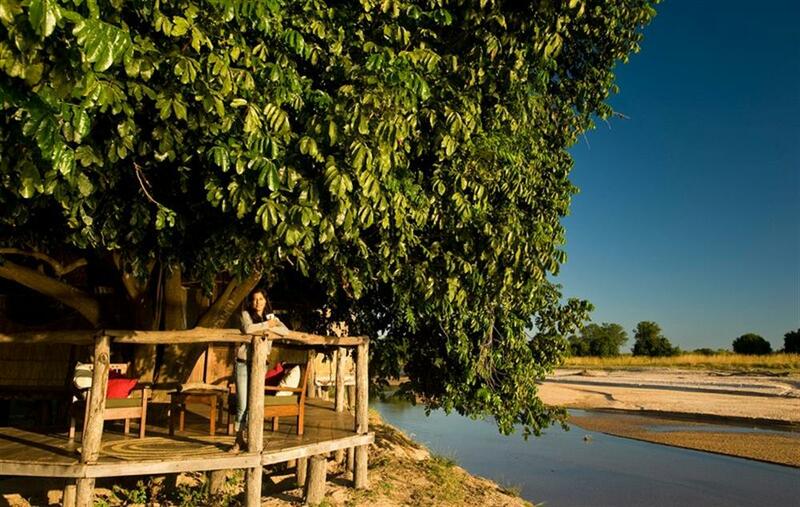 At Nsolo the wildlife frequents a waterhole in the dry river-bed in front of camp and often your most exciting game viewing is from the comfort of your own deck or from the central area that houses the bar and small camp library. 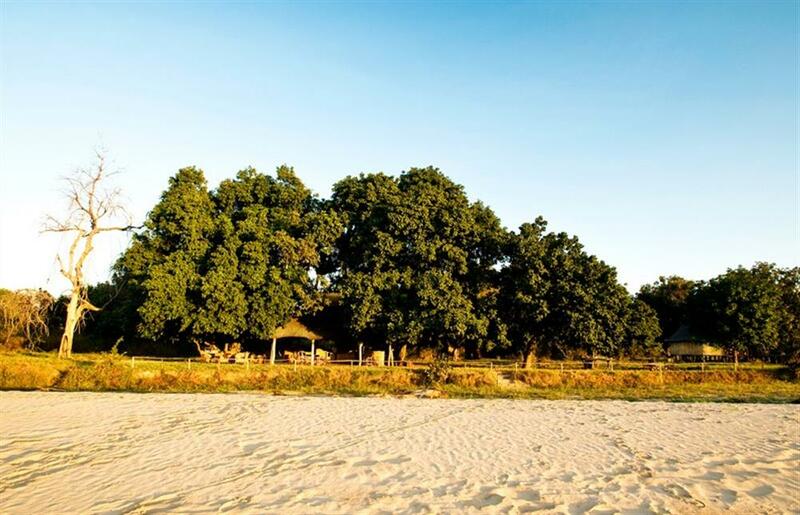 Nsolo is one of the more historic camps in Zambia. It was sited by Norman Carr in 1987 and Shaddy, the Camp Manager and guide, has been studying the wildlife and conducting walking safaris from this camp for over 10 years. 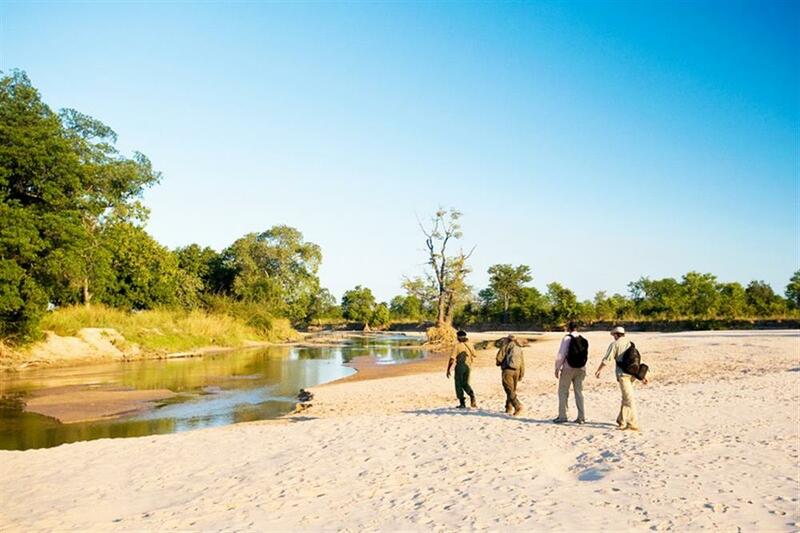 As with Luwi Bushcamp, this is one of the South Luangwa's more remote, luxury walking safari camps and there is only a limited network of roads in this area. As a result most of the game viewing activities are centred on walking safaris although short night drives are usually offered as well. The Luwi river system is renowned for its lion population. Various pride territories overlap in this area and the cats use the dry river bed as a thoroughfare and a means not only of locating their prey, who come to drink, but also of locating their rivals who must be warned away. There are few African experiences more exciting than heading out on a walking safari early in the morning, having heard lions calling through the night, finding fresh tracks and following them up. With voices hushed and hearts beating, your mind is suggesting there is a lion behind every bush. 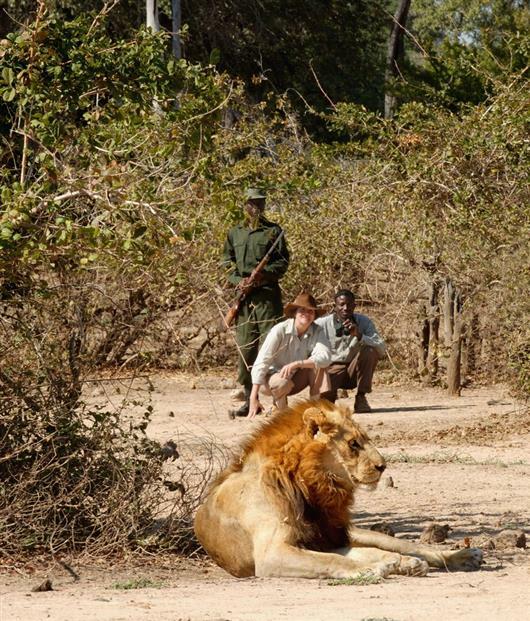 This is a true African safari experience - big game viewing on foot and at its best.